By Cristina Alias • Beauty & French fashion, Discover France, What's on? 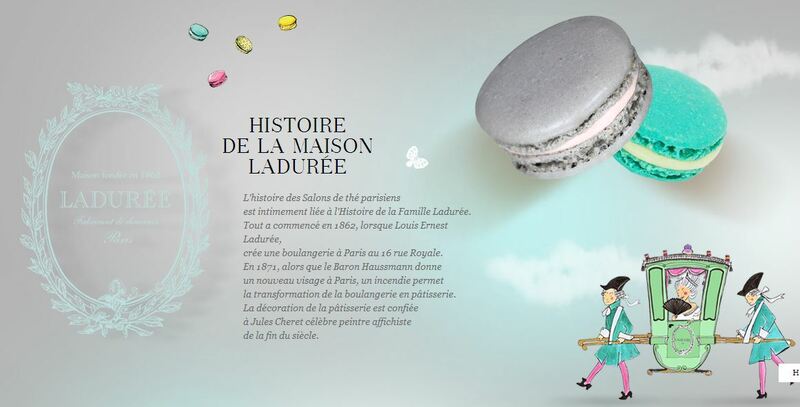 Ladurée … this beautiful name instantly brings to me images of luxurious tea-times in Paris. The taste of the best macarons and, bien sur, the luxurious beauty that dresses all the patisseries will make you feel pretty special from the moment you admire the macarons from the street to the moment you finally get to taste the finesse of one. This luxurious cake-maker has seduced the best connoisseurs from France to become the most renowned and desired macaron-maker in the world! Even if many of us know Ladurée as a revolutionary exquisite pastry shop and tea room from Paris (founded in 1862) that might just be able to change… soon we might refer to Ladurée as a luxurious make-up and beauty brand… pardon? 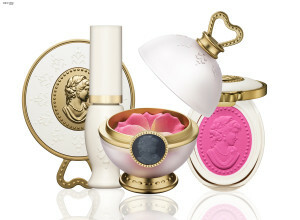 For those of you that don’t already know, Ladurée has launched its very first make-up line called “Les Merveilleuses De Ladurée”. The news come as a surprise, the collection is set to launch exclusively in Japan before being released in Europe, the U.S and Asia later on this year. Now, I have not tried the products yet but I have had a sneak peak of the packaging of these little beauties and they are an absolute delight. They’re elegant, vintage-looking and oh so classy! I am also sure than, as per the brand love of good ingredients, passion perfection and obsession for luxurious top-of-the range results the make-up will offer beautiful results.Well, what else would you expect from Ladurée’s savoir-faire anyway? Share the beautiful news from Paris and follow me for more beauty news from a very French Perspective !